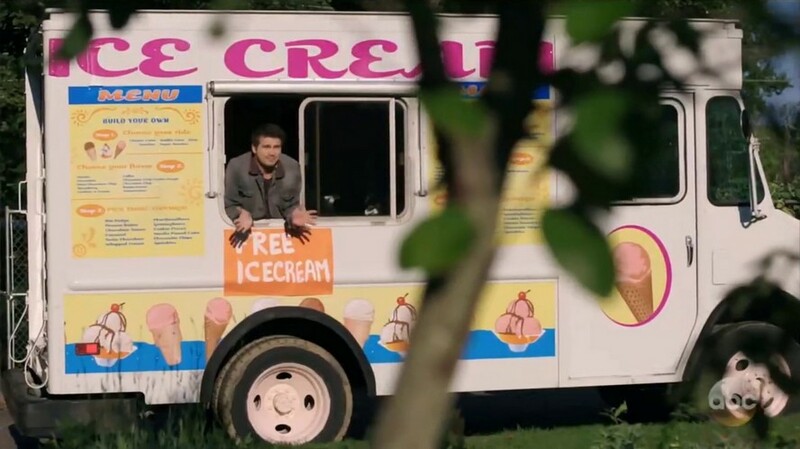 IMCDb.org: Chevrolet Step-Van P-30 (by default) in "Kevin (Probably) Saves the World, 2017-2018"
If I'm not mistaken, there was no P-1500 for Chevrolet, as the 4-digit model names were specific to GMC until 1988. 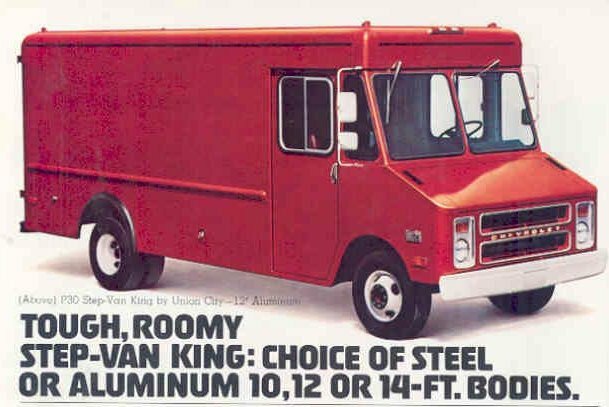 And 1500 would mean a ½-ton model (7 or 8 feet body) which was dropped from the line in 1980, while this one has the wheel rims and dual rear wheels of a 1-ton version (Chevrolet Step-Van P-30 / GMC Value Van P-3500). The rounded horizontal bar above the wheel arch indicates an aluminum body. It's not only question of higher roof, but roof with specific edges, as in the main picture. Vans with this kind of roof hasn't Chevrolet/GMC grill. On Your brochures roof has rounded edges of regular Step-Van/Value Van.